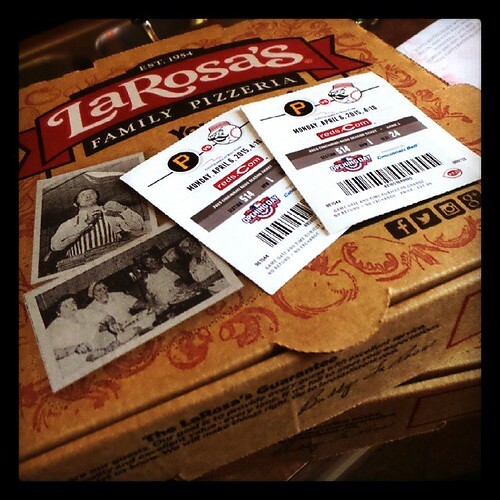 Thadd+Friends: Free LaRosa's pizza #1 of the 2015 Reds season. 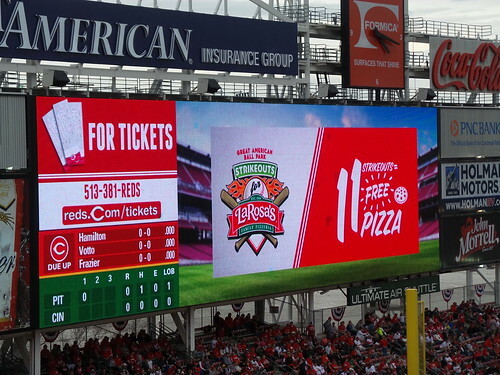 Free LaRosa's pizza #1 of the 2015 Reds season. Back on Opening Day, the Reds pitchers combined to strikeout 13 Pirates. And lucky for us, LaRosa's is once again doing their #Ks4LaRosas promotion this season! Tonight, we warmed pizzas up in the oven. And free makes LaRosa's pizza taste even more delicious! 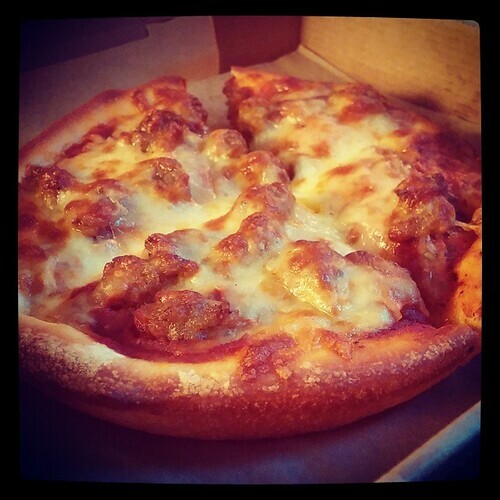 I hope we get enough free pizzas to break our record of 11 free pizzas in 2013!